235 Pulteney Street, Geneva, NY.| MLS# R1110019 | Coldwell Banker Finger Lakes | 315-789-6768 | Geneva NY Homes for Sale, FINGER LAKES PROPERTIES, Seneca Lake, Cayuga Lake, All of the Finger Lakes. 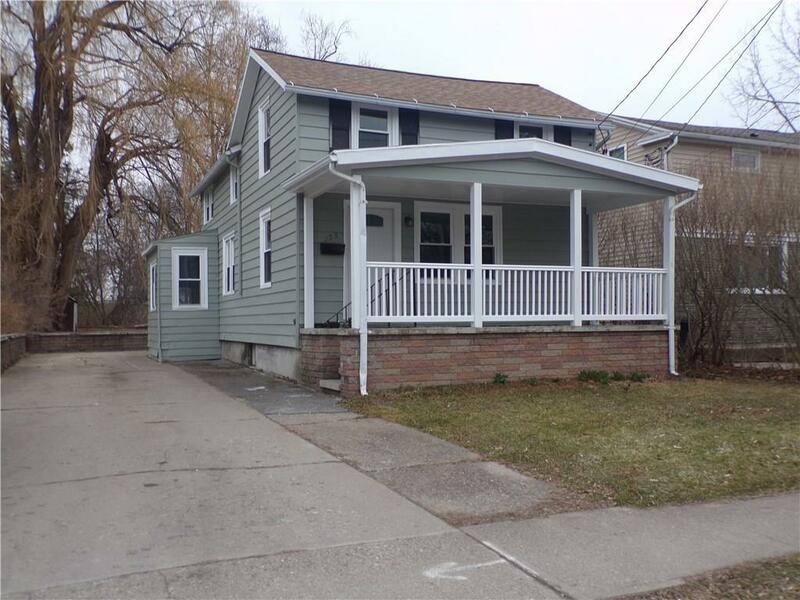 Very appealing & renovated 3 bedroom, 2-bath home close to HWS Colleges. This home features generous living room with hardwood floors leading into large dining room, could be another family room with half bath close by, followed by "classy" granite counter topped kitchen with breakfast bar, ceramic flooring, newer appliances, cabinetry, lights & more. Access enclosed side porch to driveway & deep backyard. 2nd floor features 3 bedrooms, one larger & 2 smaller, new full bath plus extra storage area....all hardwoods have been refinished to a nice shine. Full basement with Newer furnace, all New thermal windows, interior doors, lighting & roof is approx. 5-7 years old. Plenty of parking in deep concrete driveway Plus large concrete front porch with new railings & French drain system in basement....preapproval prior to showing please! Directions To Property: Starting From Hamilton Street Go North Onto Pulteney Street And House Sits Proudly On The Right Approx. 4 Houses Down.